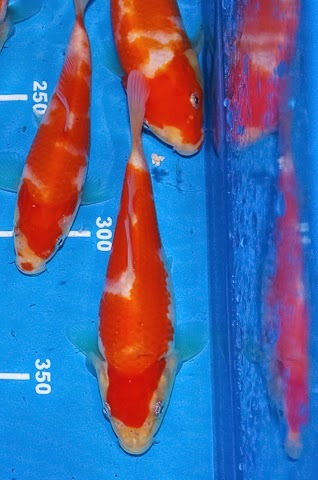 With my club's annual Garden Show in early September, I have my first chance to exibit my kohaku babies in a koi show! 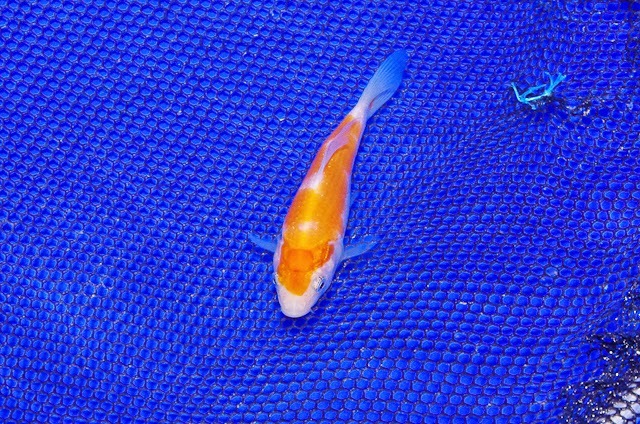 The smallest size you can enter a koi into the show is 15cm - so just need a few more cm's growth over the next 3 weeks and I hope to enter at least one kohaku and one tancho into the show. With ambiant temps starting to level off, and drop. the polytunnel is keeping the tank just above 20 degrees and I'm supplementing that with some additional heat to maximise growing temperatures.